Color : White. Condition : 100% New. Due to the difference between different monitors, the picture may not reflect the actual color of the item. Size : 4cmx2.3cm(1 5/8"x 7/8"). Materiale : Imitation pearls. 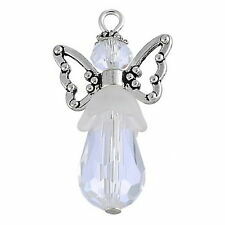 White Angel Wings Pendant. Quantity: 1 PC. (like B12345)marked on the parcel you received ,we will sort it out. Color : White. Condition : 100% New. Quantity: 10Pcs / Set. Color: Silver Plated / White. Features : Handmade Pendants;Guardian Angel;/. 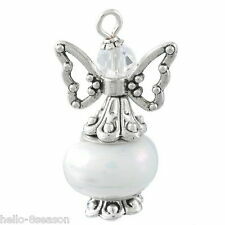 Handmade Guardian Angel Design Pendants. Better Service, High Quality, Highly Cost Effective, Factory Price . How long it will take?. A: Yes, you can. Material: Acrylic / Plastic. Color: White. Hole 1.6mm. Thickness 2mm. Quantity: 10Pcs / Set. Material: Copper (Lead and Nickel Free) / Acrylic. 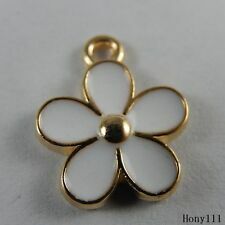 Color: Gold Plated / White. Quantity: 25Pcs / Set. Material: Copper (Lead and Nickel Free) / Acrylic. Color: Silver Plated / White. Beads 16mm. 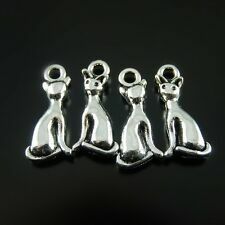 304 Stainless Steel Charms, Star, Stainless Steel Color. Material Stainless Steel. Brass pendant with star shape, and high polished craft creates the sparkle sheen. Sophisticated and ideal design adds eye-catching accents you can wear everywhere.Lightweight and sturdy enough for earrings and necklace focal pieces. 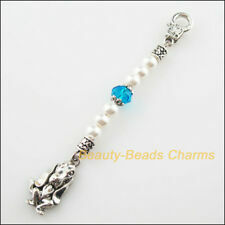 304 Stainless Steel Charms, Clover, Stainless Steel Color. Size: about 9.5mm wide, 13mm long, 0.7mm thick, hole: 1mm. Material Stainless Steel. We also can source many products for you. neutral or. We maintain high standards of excellence. Size 16x18x3mm. Colour Stainless Steel Color. 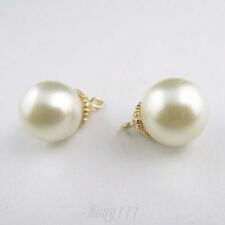 Size: about 18mm wide, 16mm long, 3mm thick, hole: 2mm; 10pcs/set. We also can source many products for you. You may also like. Product Details. We maintain high standards of excellence. Better Service, High Quality, Highly Cost Effective, Factory Price . Material : Zinc Alloy. Color :silver tone. (like B12345)marked on the parcel you received ,we will sort it out. A: Yes, you can. Quantity: 4Pcs / Set. Color: Silver Plated / White. Colour: Tibetan Silver,Ivory white. Material: Resin, Zinc Alloy ( Lead and Nickel Free ). 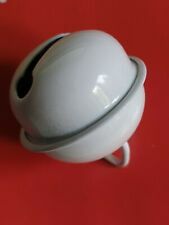 Size: 71 12mm Hole size: 10 15mm Hang Hole :3mm. When you do this work, you're sure your fingers will be protected. 5 Fingers Protectors. Material: PU Leather. Item Type: Jewelry Making Tool. We would highly appreciate the chance to follow up with you if needed. Quantity: 15Pcs / Set. 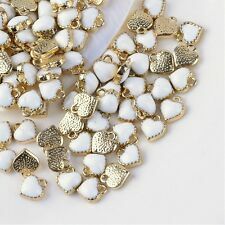 Beads 10mm. Material: Copper (Lead and Nickel Free) / Acrylic. Color: Gold Plated / White. WHITE SEASHELL HEART. 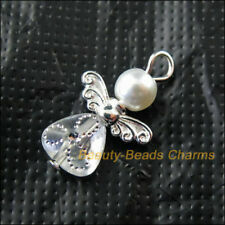 Approx Size: 17mm Long x 17mm Wide. 10 MOTHER OF PEARL. as Mother of Pearl/Seashell is a natural product and varies in size, shade & tone. Picture is only a representation of the item you will receive.